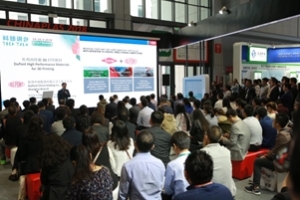 A highly successful CHINAPLAS 2018 concluded its four-day show on April 27, 2018, in Shanghai. The rainy weather prior to the opening of the 32nd edition of show did not hamper the enthusiasm of visitors, who were inspired by smart manufacturing, innovative materials, and green solutions. 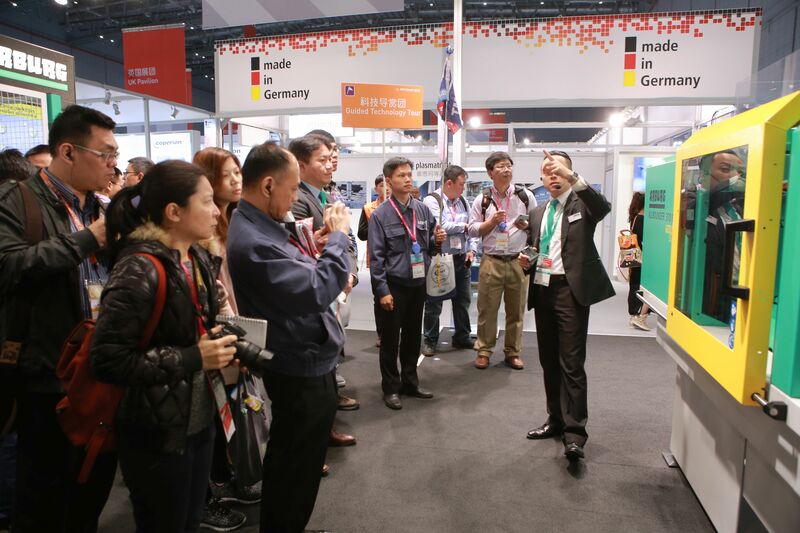 A total of 180,701 professional buyers from all over the world visited CHINAPLAS during the four days at the new show venue, the National Exhibition and Convention Center (NECC), Shanghai, PR China. 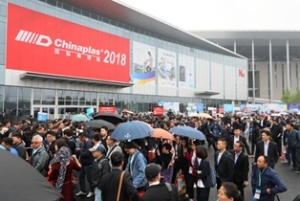 CHINAPLAS 2018 recorded the highest visitor count in history, and the show also set a new record in terms of exhibition space. CHINAPLAS 2018 attracted 180,701 professional buyers. The number of overseas visitors totaled 47,900, accounting for 26.5% of the total. They came from 150 countries and regions, including Hong Kong, India, Indonesia, Iran, Italy, Japan, Korea, Russia, Taiwan, Thailand, Turkey, the U.K., Vietnam, and United States, among others. 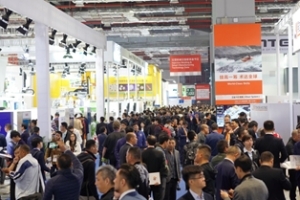 Compared with the Shanghai edition of show two years ago (at the previous venue in Pudong), the number of visitors increased remarkably by 21.6%. The total also rose by 16.4% compared with last year's Guangzhou edition of the show. Ada Leung, General Manager of CHINAPLAS organizer Adsale Exhibition Services Ltd., was delighted by the results. "I have never seen such a huge number of visitors before," she said. 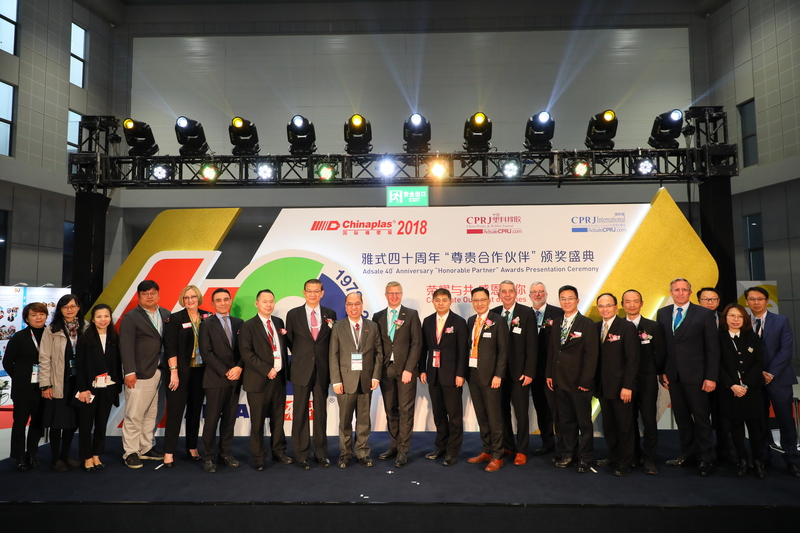 "Most of our exhibitors were satisfied with the result," added Leung. 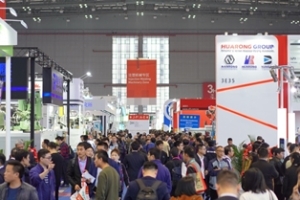 CHINAPLAS 2018 was the first edition of show to be held in the NECC, and allowed the organizer to accommodate the strong booth space demand. With the much larger NECC, CHINAPLAS set a new, all-time record for exhibition space in the show's 32-year history. 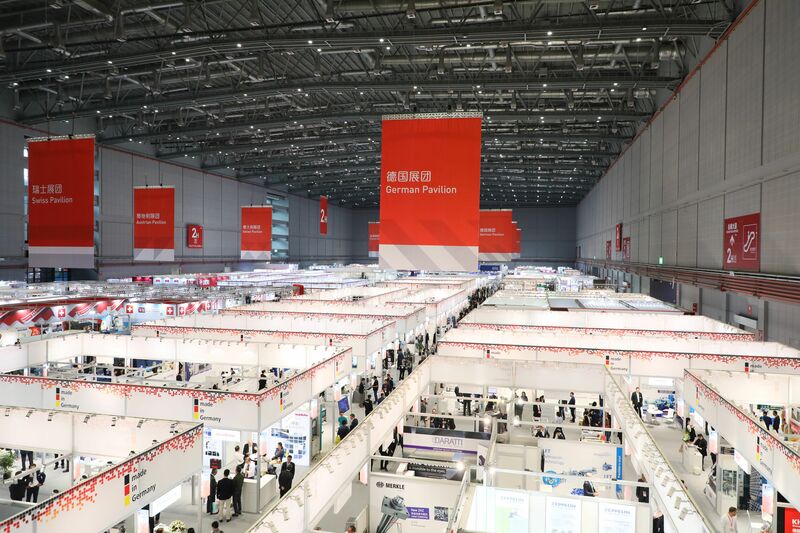 The exhibition area covered 340,000sq.m., an increase of 100,000sq.m. compared to the Shanghai edition two years ago. Some 3,964 market leaders exhibited and brought cutting-edge solutions to the world stage during the show period. 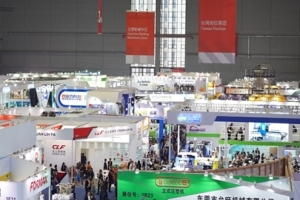 From 2012 onwards, CHINAPLAS has faced the problem of an exhibition space shortage. 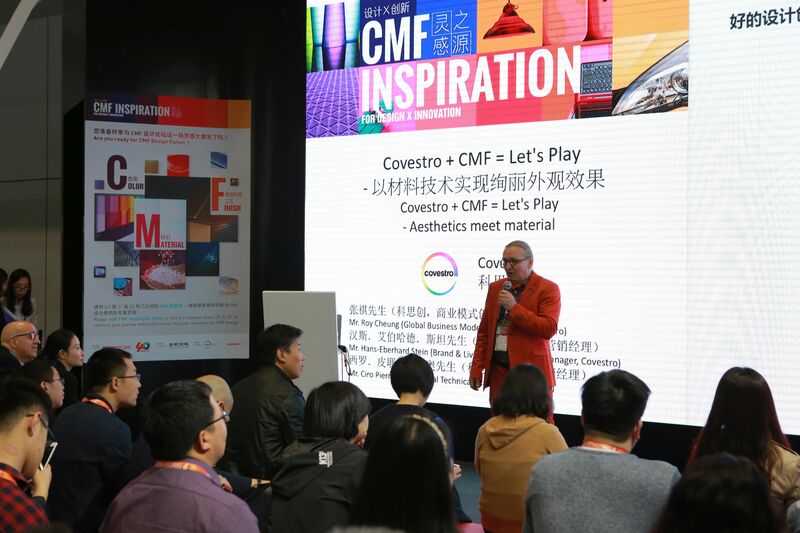 When the show was held at the Shanghai New International Expo Center in Pudong, all the indoor exhibition halls had been used up. 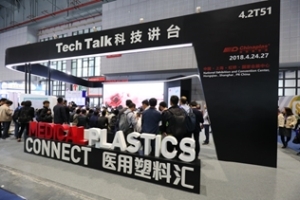 It took the CHINAPLAS team two full years to shift CHINAPLAS to the new venue. "In moving to NECC, CHINAPLAS this year marked a new milestone in her history," Leung said. "To outsiders, many may think that the successes of CHINAPLAS came very naturally or easily as the show has been well established in the market. But we all know this is not the case. 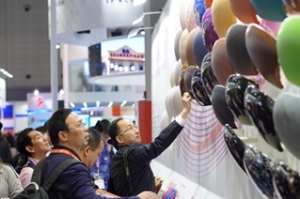 The achievement of the CHINAPLAS show is the result of hard work, perseverance, the pursuit for continuous improvement, sensitivity to market needs, creativity and seamless collaboration among internal teams and with our different cooperation partners. The last 24 months were very tough, but we have been rewarded by the positive results," she said. "Visitors are satisfied with the theme zone arrangement, as they can more easily find clusters of exhibits that address their specific interests." 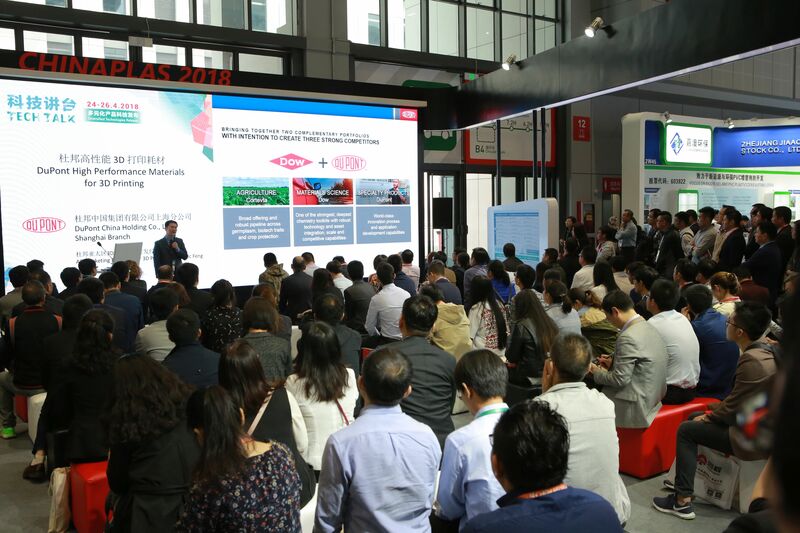 At CHINAPLAS 2018, visitors not only met nearly 4,000 exhibitors showcasing their advanced products and services, but visitors also were able to participate in a number of exciting concurrent events. These included the "3rd Industry 4.0 Conference", "Tech Talk", "Medical Plastics Connect" and "CMF Inspiration for Design x Innovation". The concurrent events were well-received among visitors and most sessions were fully occupied. Additionally, there were more than 120 global or Asian product launches at CHINAPLAS 2018, which helped to inspire visitors with the host of new idea from this technology-oriented trade show. 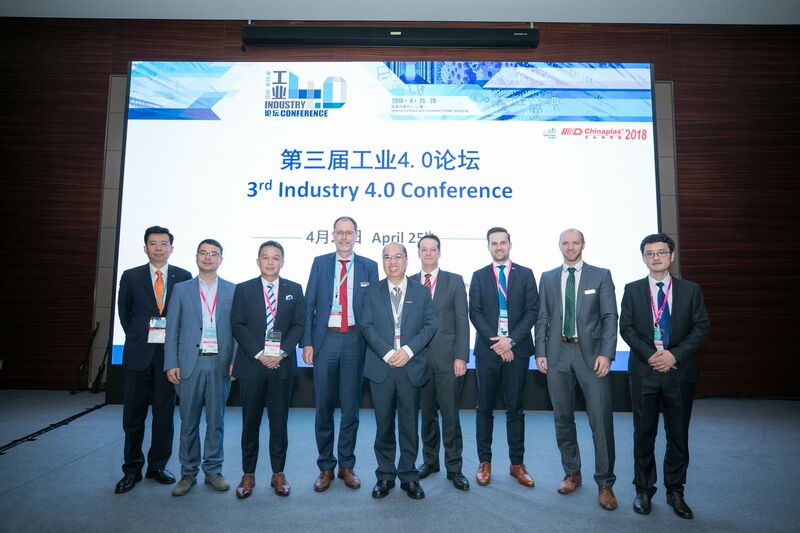 The Adsale Group, organizer of CHINAPLAS, celebrated its 40th birthday during CHINAPLAS 2018. 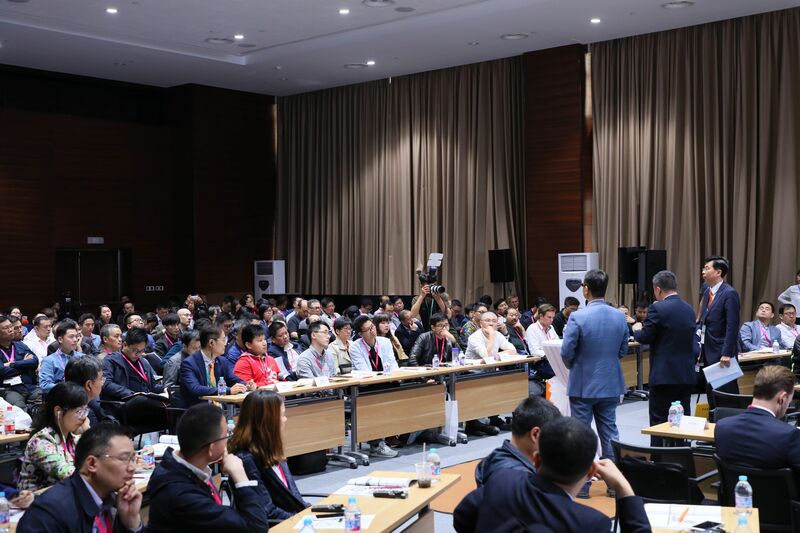 At Adsale's 40th Anniversary "Honorable Partner" Awards Presentation Ceremony held on the show's first day, The Adsale Group Chairman Stanley Chu said the company grew along with China's economy. "Over the past 40 years, Adsale has weathered the struggles of early industries and benefited from the current economic take-off. We have witnessed China's transformation from a ‘factory of the world' to a powerhouse of innovations," observed Chu. 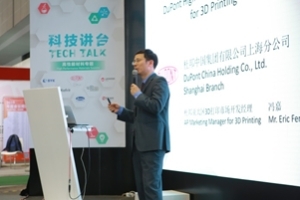 "In the early years, CHINAPLAS was organized to introduce overseas technologies and provide a procurement platform for local companies. Now, it is an international hub that facilitates exchanges between suppliers and buyers from all over the world, and provides a platform for the introduction of high-end technologies." "With many brilliant and glorious years of reform and opening-up laid as groundwork, CHINAPLAS' scale now, for the first time, exceeds 300,000sq.m. - providing an indicator of the industry's massive demand for new technologies. It's a critical moment in China's economic restructuring and the shift to new growth drivers. 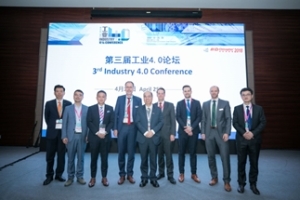 We aspire to promote the transformation and upgrading of the industries and sustainable development through the introduction of innovative technologies," continued Chu. CHINAPLAS 2019 will rotate to Guangzhou, running from May 21- 24, 2019. 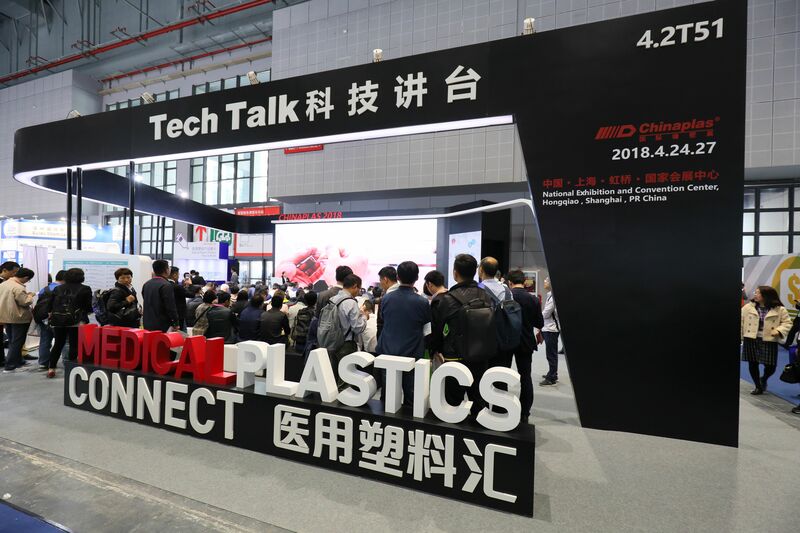 Stay tuned to explore the new direction of the plastics and rubber industries, together with the Asia's no. 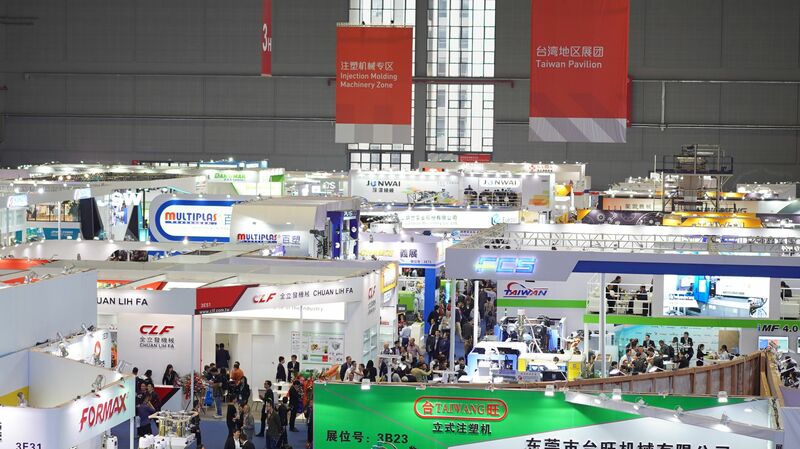 1 trade show - CHINAPLAS! 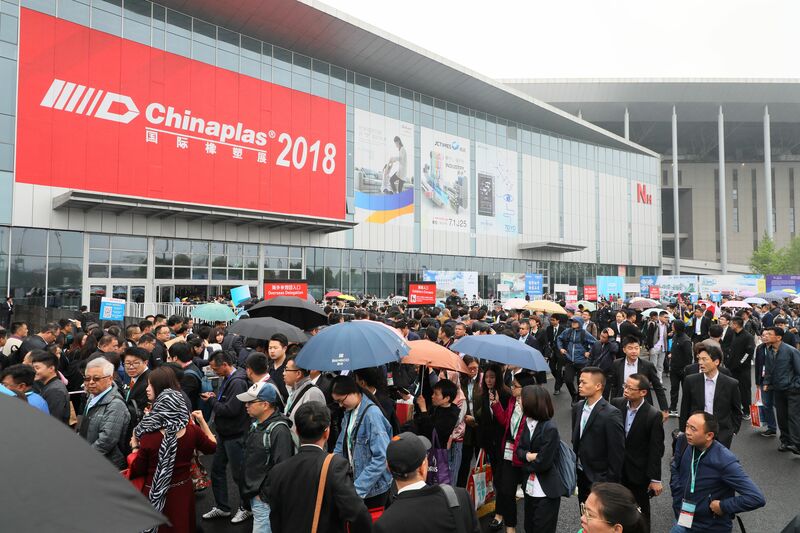 Please visit our official website at www.ChinaplasOnline.com for onsite video and photos from CHINAPLAS 2018. 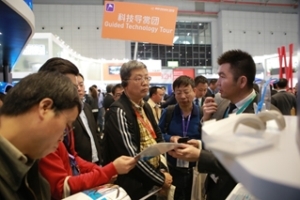 We hope to see you in Guangzhou next May! The show also set a new record in terms of exhibition space. 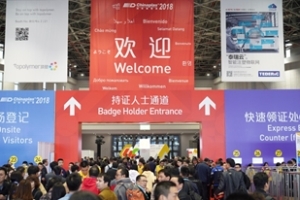 Some 3,948 market leaders exhibited and brought cutting-edge solutions to the world stage. 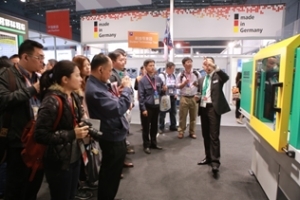 Visitors participated in a number of exciting concurrent events. 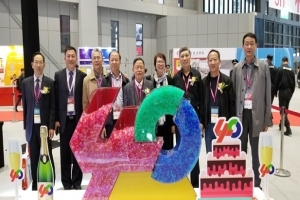 The Adsale Group, organizer of CHINAPLAS, celebrated its 40th birthday during CHINAPLAS 2018. 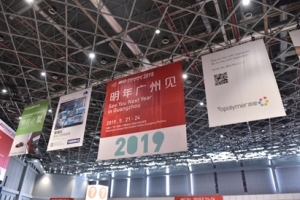 CHINAPLAS 2019 will rotate to Guangzhou, running from May 21- 24, 2019. 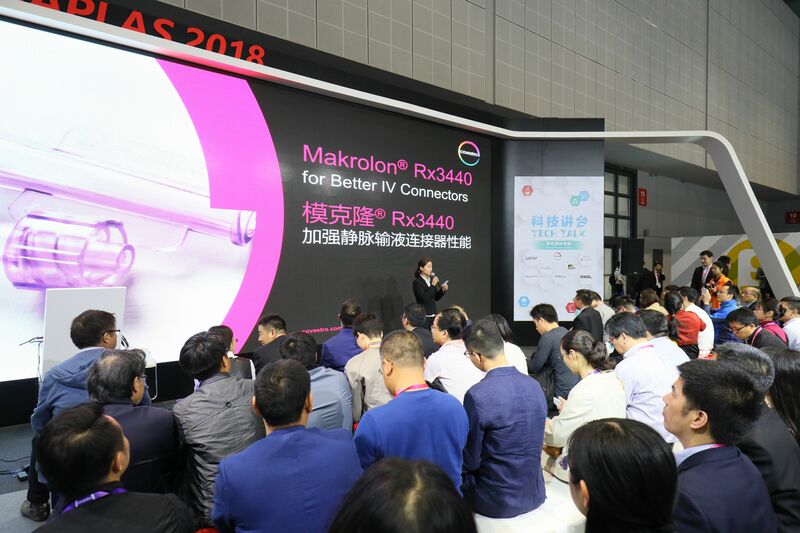 This press release is issued by Adsale Exhibition Services Ltd.
CHINAPLAS 2018 was organized by Adsale Exhibition Services Ltd. and Beijing Yazhan Exhibition Services Ltd. and co-organized by China National Light Industry Council - China Plastics Processing Industry Association, China Plastics Machinery Industry Association, Messe Düsseldorf China Ltd., the Plastic Trade Association of Shanghai. The event is also supported by various plastics and rubber associations in China and abroad.